The Korean electronics giant Samsung will reportedly debut a line of notebooks with 4K OLED panels at CES 2019. These devices will come in 13.3 inch, 14 inch, and 15.6 inch variants. However, don't expect the consumer models of these new machines to come cheap. 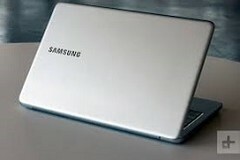 Samsung is to showcase its latest type of notebook display at the 2019 Consumer Electronics Show (CES). They will be OLED panels with a 4K resolution. They will reportedly be available as 13.3-inch, 14-inch or 15.6-inch SKUs. These purported screens could have numerous advantages over conventional LCD counterparts, even those of a comparable resolution. However, this may drive the prices of such laptops upward by a certain margin. On the other hand, the price difference between LCD and OLED may be coming down as the latter display type becomes more common in laptops. GizChina estimates that a 2K to 4K OLED screen could cost US$59 TO $60 more than an identical LCD model. In addition, Samsung's 4K OLED laptops may be slightly more reasonably priced as they will be making the unique selling point in-house. The company is also reportedly negotiating the sale of this technology to other firms such as Lenovo and Dell. This process may influence the eventual retail price of their own competing OLED laptops with 4K. However, tiem (and the next CES) will tell if these screens are worth the cost of upgrade.